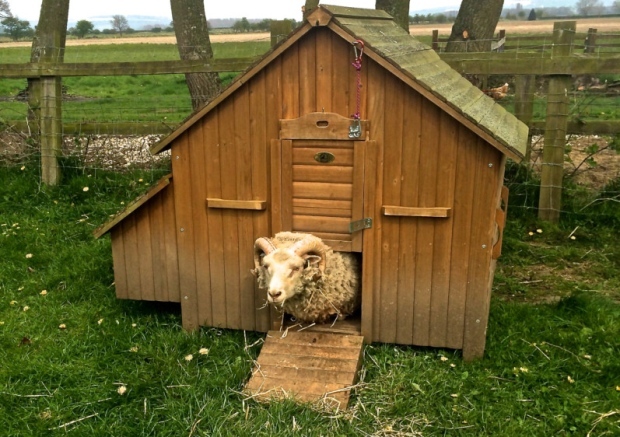 When we moved to the East Yorkshire countryside it was always our intention to bring onto our smallholding a range of livestock, to live alongside us and our three Border Terriers. We currently have four beautiful Highland cattle (ginger ones of course, because I have a big soft spot for them); Monica, Lyndsey, Flora and Morag – who is Monica’s eight-month-old calf. Since arriving, we’ve learned so much about them and their personalities. Monica, who is 16, loves to be groomed which we do in the field but the others are a little more timid and need to be in the cattle race to be groomed. My wife Wendy has come on leaps and bounds from being extremely scared around the cattle to now being comfortable enough to help me groom them. We have 15 sheep; a mix of Shetlands, Hebredeans and one Southdown/Jacobs cross. We have three of last year’s lambs, 11 ewes, all with Gaelic names and Torridon, the friendliest ram in the world. Last November, with the help of some friends we had fun fitting his harness which holds coloured chalk on his chest so we can identify which of the ewes he has been romancing. In a couple of weeks our new pigs will arrive and this time we’re increasing from three to four. We’ve gone for females this time, rather than males and have decided on Pietrain X Middle White cross, the same breed as last time. They were good to work with and the pork is fantastic. What’s surprised us most about keeping pigs is how little trouble they are compared to our other animals (if we gloss over the fact we had to chase the three pigs around their paddock for with the help of one of my sons to inject them for worms). We name many of our animals, but the pigs are given the generic name ‘Piggy McDoodle’ and it’s funny, because when we call this each meal time, they all come running. We brought three hens with us when we moved to the farm, Wendy’s hens; Queenie, Diana and Katie, which she got in the Queen’s Jubilee year. We now keep over 40 after purchasing a range of other hens and being given some by our neighbour, and Wendy’s taken great delight in selling eggs outside our gate to anyone and everyone who passes. She now has quite a little industry going on. We have two pygmy goats; Stacey and Nessa, who’ve been visited by a billy goat for the last month and hopefully we’ll have kids in the months to come. Initially I wasn’t sure that things were going to work out as Nessa was bullying the billy – he’s much smaller than both of the ladies – but they seem to have settled their differences.